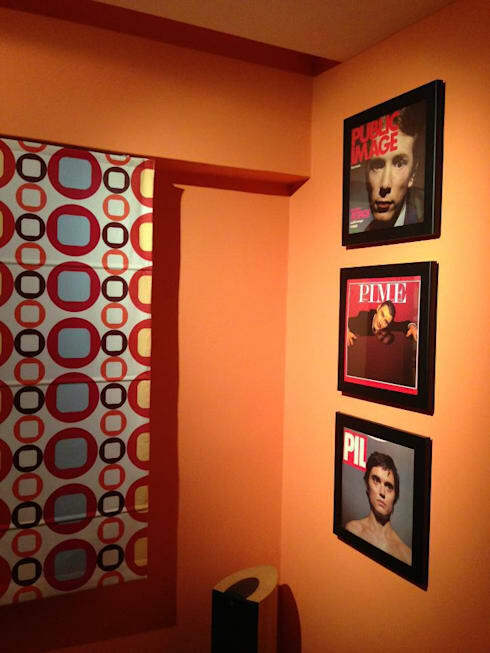 There's more than one way to hang a picture – in fact, the opportunities are just about endless. Free your imagination with these multiple ways to showcase your favorite pictures instead of letting them sit in a box under the bed. Keep it simple with uniform frames and an evenly spaced, tic-tac-toe layout. In a room like this one, the busy eclectic decor and mismatched furnishings are given a sense of order and alignment through this even, measured design. Use your framed photos (or maps, or antique family documents) to draw long horizontal lines that work to stretch and lengthen your hallways. For this project, you'll need a level – you can find small ones (and even pocket-sized ones) at any hardware store – in order to make sure the pictures are all resting evenly along the same parallel lines. Here, the colour scheme is kept neutral for a laid-back, urban vibe, but since the lines are all straight and even, a wide array of colors would also fit well in this picture. 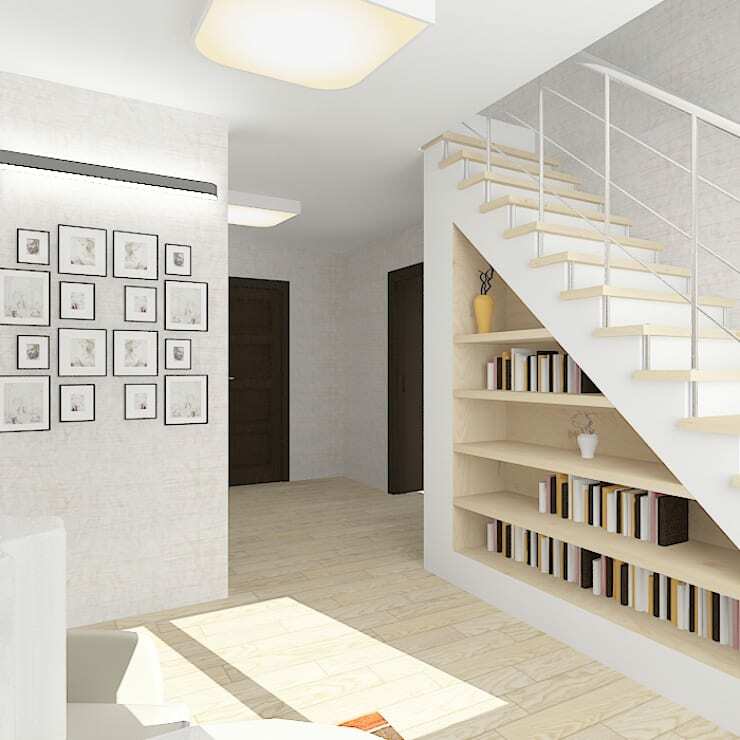 These strong vertical lines created by the stacked photos give added height to the space, which is a great element for any home that needs a little lift. The key to creating the strongest vertical line is to maintain the same width of frame so that the edges line up with one another. Narrow black frames and white mats create an understated array in this example. If you tend towards minimalism but still want to display your treasures, this balanced and symmetrical layout is a good choice. After establishing the center line of the symmetrical arrangement, you'll need to use careful measuring with a level and ruler to make sure your frames are aligned with precision, giving the picture wall it's neat and tidy look. If this sounds too complicated, you can always get in touch with an interior designer who can guide you through a symmetrical project like this. Perhaps you already have a picture gallery, and you're looking for ways to add some spice? Here, these decorators have found a simple solution – add strings of light. Whether you opt for vertical strands like these, rope lights, or a cluster of lights that wraps around the frame of each picture, this is a great way to light up your display in an interesting way. If you have a very high-resolution photo that you took during one of your fabulous vacations, why not capture the moment in a large, floor-to-ceiling wall sticker that displays your photographic work of art? 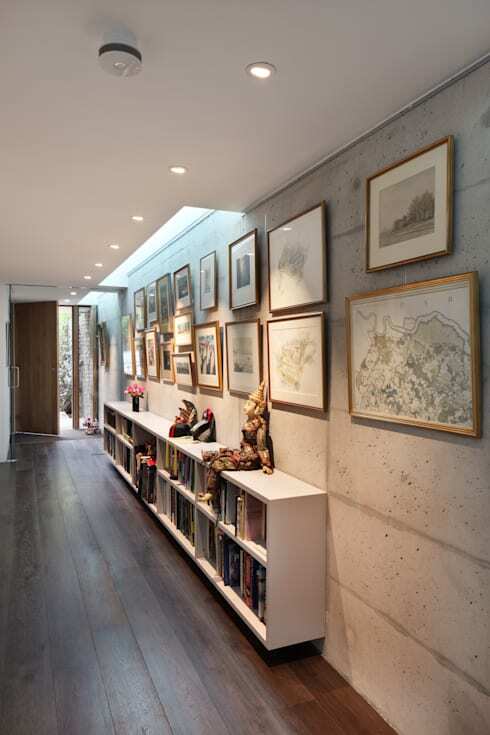 Your home is your empty canvas, and your walls provide ample space for making a statement – a very big statement. In this example, and assortment of blues bring out the rich blue sky in the photograph, creating a scene that captures an outdoor escape in your very own living room. 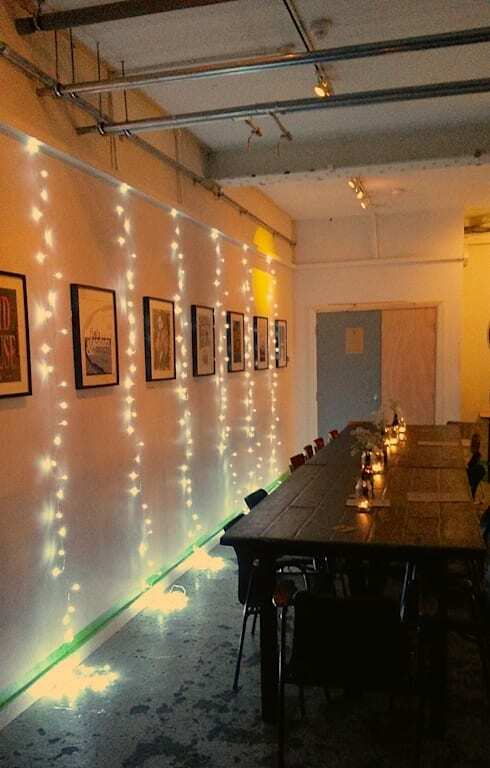 Here's another lovely example of how one large photo can make a huge impact on the room's ambience. A black and white, blocky living room is transported to a beach scene, providing an interesting contrast of scale against the 5-foot- blades of blowing grass that seem to hover above its surroundings. 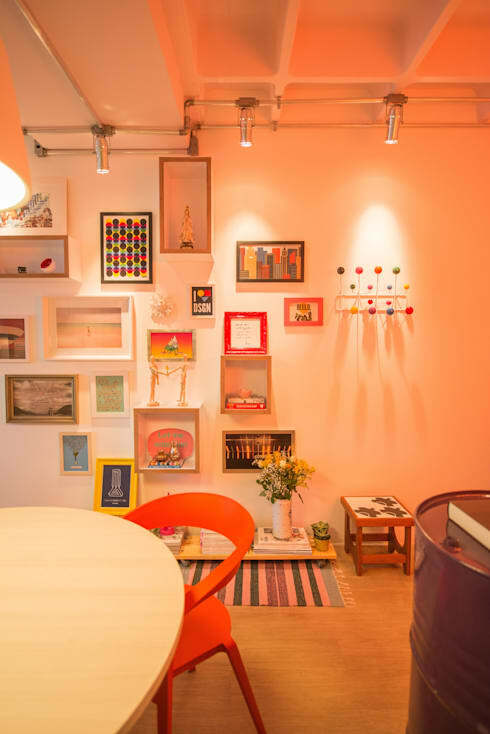 Use colourful frames to create a sense of fun and playfulness – while the pictures can be simple or plain, these frames and their mismatched, colorful arrangement makes this wall interesting and energetic. If you can pull this one off, you may want to check out other daring interior design ideas in this ideabook for passionate interior decorators. 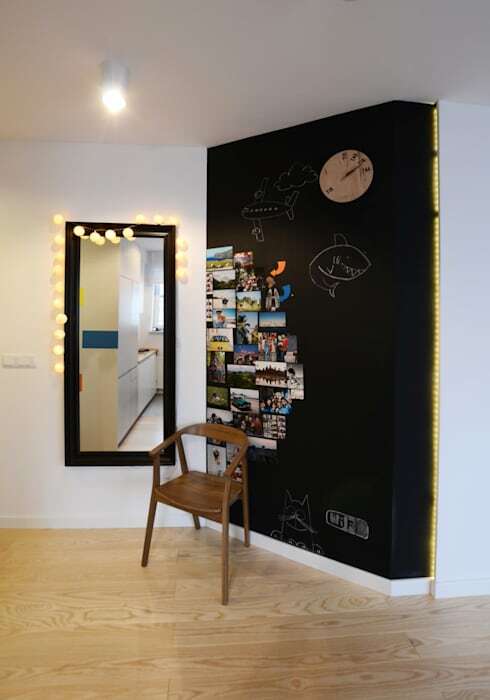 Leaps and bounds better than tacking your photos onto a hanging cork board, this black wall provides a professional-looking space for your photos. 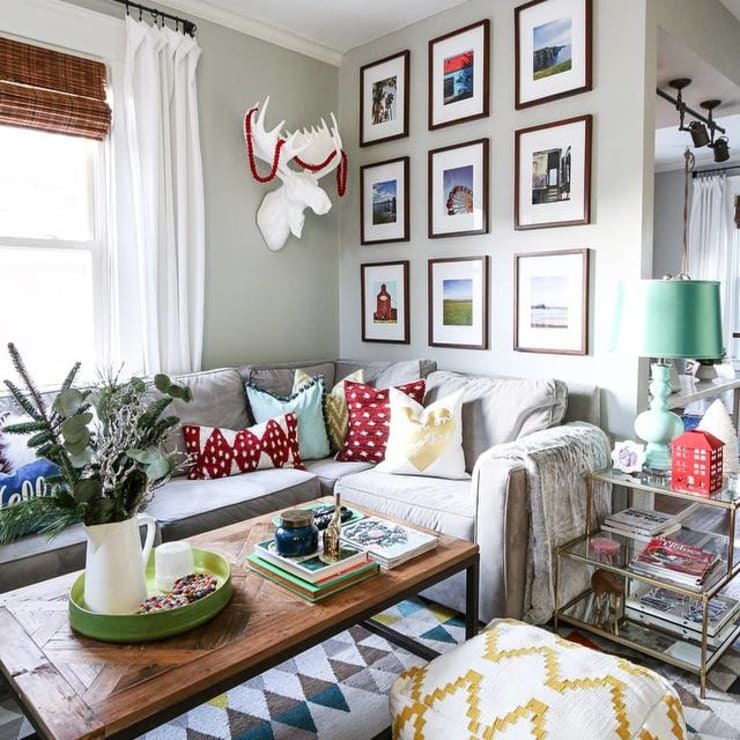 As evidenced, you don't even need to fill the space to the brim – adding a cluster of photos on one side of the wall creates an asymmetrical design that pulls you right in. If you saw this odd assortment of photos sitting in storage, would you honestly have the nerve to hang them like this? They all boast different shapes, depths, tones, frames, and subject matter. 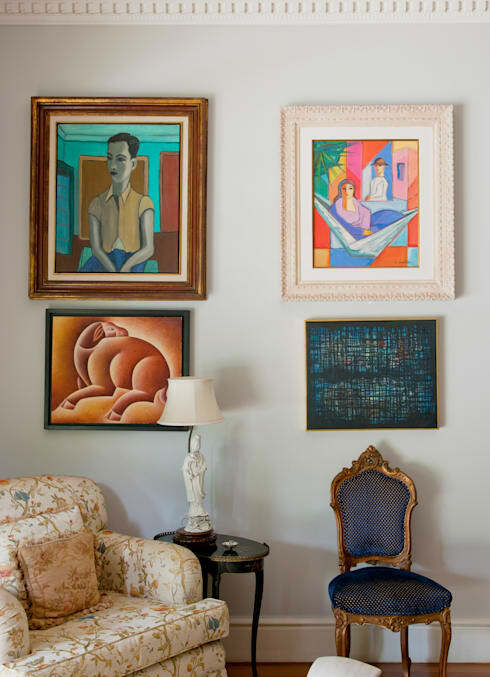 It seems counterintuitive that such distinct pieces could work well together in a wall gallery, but this arrangement is proof that just about any combination is possible if you've got the confidence to pull it off. Thoughts on these picture galleries? Share your interior decorating insight below.